"You slimy, double-crossing, no-good swindler!" Director Rian Johnson came very close to having Lando Calrissian appear in The Last Jedi, but chose to omit the legacy character in favor of a very different newcomer to the universe. Spoilers follow for The Last Jedi and Johnson’s creative process. In an interview published Tuesday with The Playlist, Johnson explained his rationale for not including Lando. 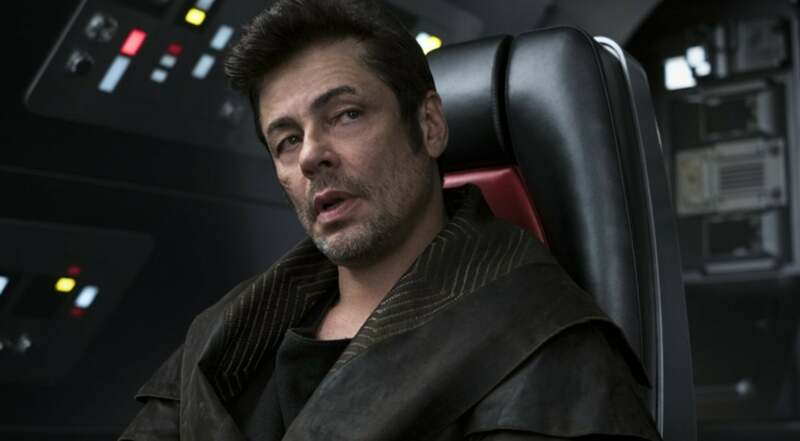 “In terms of Lando, I briefly considered — would he work in the Benicio [del Toro] part?” Johnson referred to the role of the mysterious hacker “D.J.” who helps Finn and Rose in Canto Bight and then later betrays them aboard the Star Destroyer when the First Order offers him more money. D.J.’s definitely a suave swindler meant to evoke our memories of Lando and even Han Solo from the original trilogy, but for this particular role in The Last Jedi, Rian Johnson wanted someone a little more selfish and sinister. Han and Lando, after all, despite being selfish always did the right thing in the end. D.J. is quite the opposite. Benicio del Toro's D.J. winds up a villain in 'The Last Jedi'. Granted, Johnson could have adjusted the plot to accommodate someone like Lando instead of D.J., but it would have meant sacrificing a little bit of his artistic integrity. And if The Last Jedi did anything well, it was not pandering to audiences looking for their dreamy action sequences and lore-heavy revelations. After all, Luke did literally toss his old lightsaber off a cliff.